Ordering online from Lensite.co.uk is very simple. Start by finding your contact lens type in the left hand link and then find your particular contact lens type. 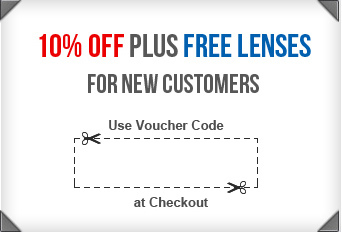 Click on the picture depicting your lenses and then enter your prescription details on the next page. We advise you to have a contact lens fitting with your optician before purchasing contact lenses. This will ensure that the lenses you wish to order are suitable for your eyes. Your opticians is obliged to provide you with your contact lens prescription even if you are not purchasing your lenses from them. A member of the Lensite.co.uk team may contact you to verify your prescription. If you've placed an order your goods should be with you within a reasonable time (7-10 days) contact our customer service department at cs@lensite.co.uk and explain the problem.